I really try to live my life as a positive person. I try to accept my flaws and do things that I love. You could ask anyone who knows me and they'd tell you I won't let anything get in my way once I've set my mind to something but self-love is something that I will forever continue to work at. There truly is a difference between saying you are beautiful, inside and out, and believing it. I instantly fell in love with Seventeen Magazine's #PerfectlyMe campaign as it demonstrates that you can do anything no matter who you are. 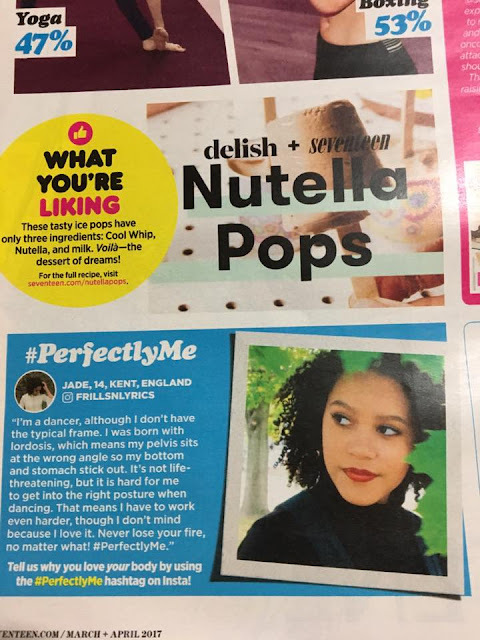 You can imagine how thrilled and honoured I was last year when they asked to publish my story in the March/April issue as I love the magazine and the message it's sending through #PerfectlyMe to their large audience of mainly teens and the positive impact it will have. 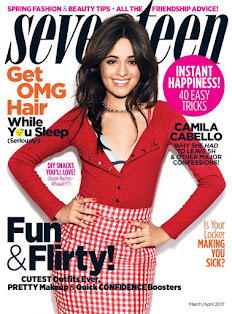 A huge thank you to Seventeen for letting me get involved.